Navigate to Settings - Portal Settings. Set "Private Messaging Enabled" to "Yes". Only Administrators will be able to access the Private Message feed. 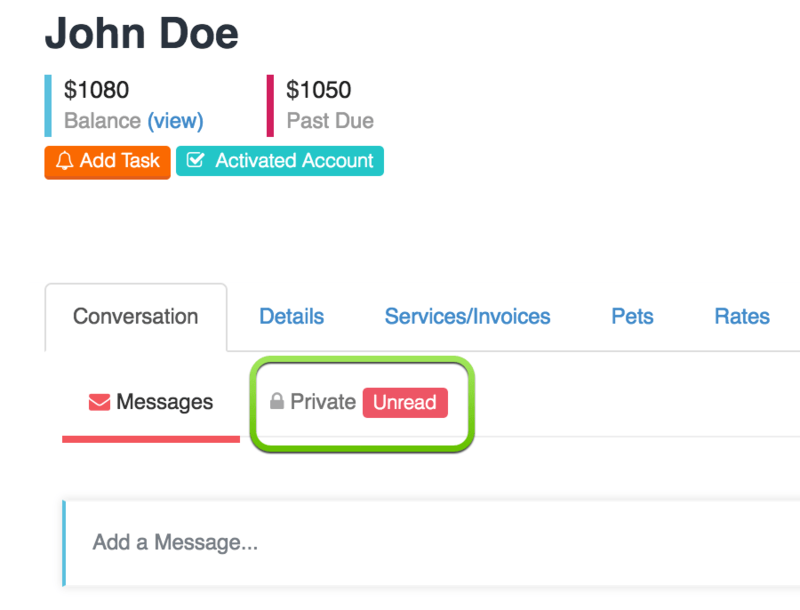 You can however give Office Managers access to Private messages from the Permissions page. If you have enabled Private Messaging you will see a new sub-tab labelled "Private". Click this tab to open the Private Messages feed. From this point on sending a private message works in the exact same way it does on the normal Conversation Feed, you can type a message and include any number of images and/or attachments. The new message will then be added to the Client's private message feed. Note: Private Messages will never be sent via Text Messaging. We only support private messages via Email and App/Push Notification.